If you have a composition shingle roof there many conditions can affect the performance of the shingles. The first is correct installation. If the shingles were not installed according to the manufacturers specifications (ARMA Manual), the manufacturer may not honor the warranty. Homeowners insurance can deny coverage of an incorrectly installed roof. And if the shingles have exposed fasteners (one of the cardinal rules, no exposed fasteners) they will expand and contract at different rates than the shingles, and if not properly covered can be a source of moisture intrusion. Granule loss is one of them. The shingles are coated with ceramic granules, and the “job” of the granules is to protect the shingle “Mat” from the sun’s UV rays. Over time the asphalt and granules lose their bond and normal weather conditions, such as rain and wind, displace the granules. Too much granule loss will lead to premature failure of the shingles. The life span of the shingles can be greatly reduced by conditions such as tree debris (leaves, pine needles, moss, etc.). Another crucial factor is correct ventilation of the attic space, especially in summer and winter months. Excess heat in the summer will, on average, reduce shingle life by ten (10) years. The average family of four generates two to four gallons of water vapor a day (indoors) through such activities as cooking, bathing, washing clothes and dishes. If this moisture is not adequately removed it can have a negative affect on the shingles. What’s more, it can also lead to structural damage and microbial growth which can be an health problem. More than one layer of shingles on your roof does not mean better protection for your home. In fact, too many layers can have negative affects on the structural stability of the home. 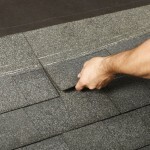 Furthermore, more than one layer does not allow for sufficient ventilation of the top layer of shingles. Adequate ventilation of the shingles is important, otherwise your home’s shingles will not perform to their design potential and the life expectancy of the top layer can be reduced by as much as ten (10) years.